Shake all ingredients with ice cubes, except tonic water. Pour into the glass. Top with tonic water. 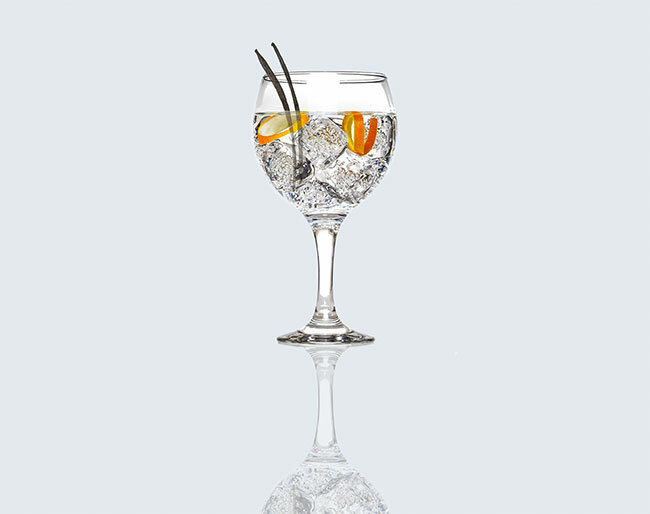 Garnish with Orange slice and 1/2 vanilla stick.